Whether you’re on #TeamPumpkinSpice or #TeamAppleCider (or you’re a cross-over like me), this time of year is sure to make you happy! 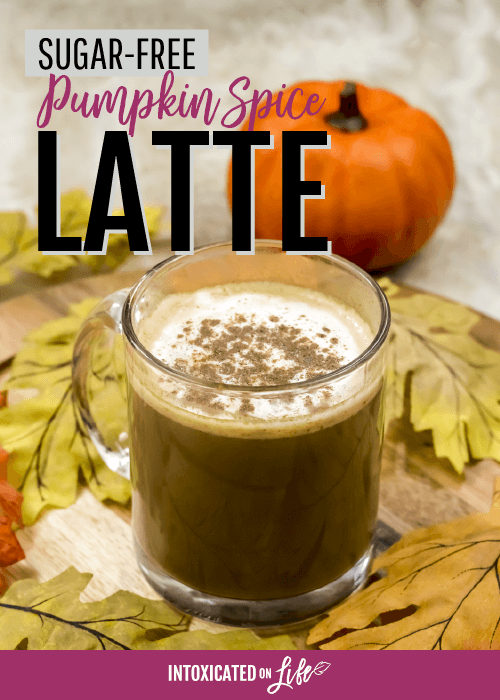 And if you enjoy the tastes of fall without all the added sugar, this sugar-free Pumpkin Spice Latte is sure to put a smile on your face. Bad habits are hard to break — like driving through Starbucks for that overpriced and over-sugared latte. One of the keys to breaking those bad habits is to think of all that you have to gain (or lose). In this case, by breaking up with your Starbucks Pumpkin Spice Latte you’ll be ditching 49 grams of sugar. 49 grams!!! That’s over 12 teaspoons of sugar in a 16 oz drink. Yowsers. That’s a lot of inflammation-inducing sugar. Hint: ALL that sugar, might be part of the reason you’re so addicted to those lattes! Time to rip the bandaid off my friend, and reach for an alternative. 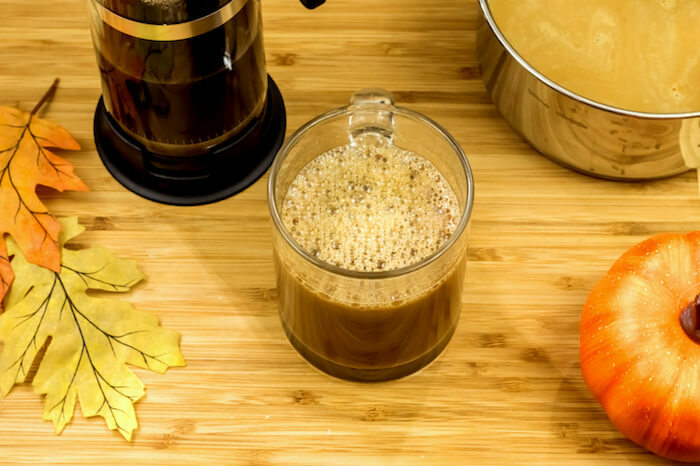 With this homemade recipe, you’ll have the added addition of pumpkin to your pumpkin spice latte. Yup, that’s right — Starbucks version doesn’t even have any pumpkin in it! And adding pumpkin to your diet is a good thing. It’s is packed with nutrients and beta-carotene—check out all of the awesome benefits of eating pumpkin. Ready to get started? In less time than it takes you to drive to Starbucks, you can have a delicious sugar-free pumpkin spice latte (with real pumpkin in it too. Fancy that.)! 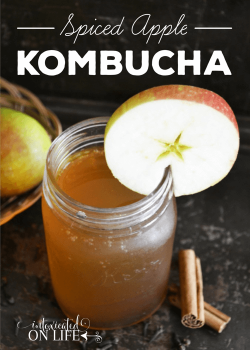 You don't have to give up your favorite fall drink. 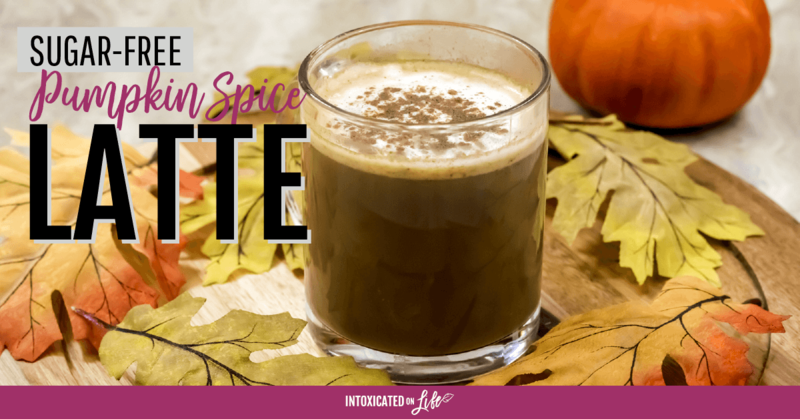 Enjoy a pumpkin spice latte without all the sugar! 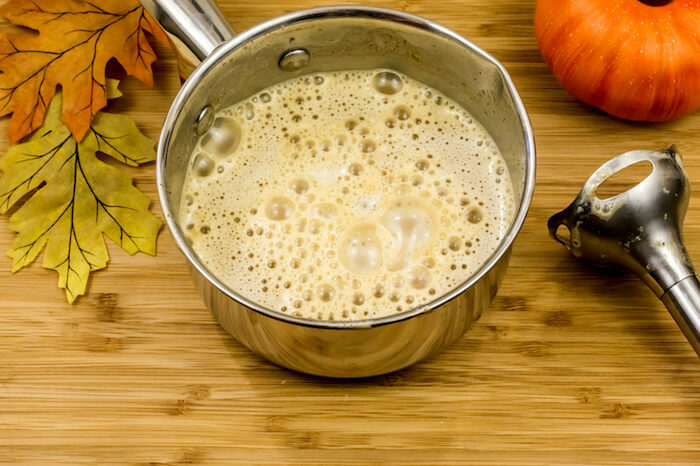 In a medium saucepan, heat milk along with the pumpkin puree and pumpkin pie spice over medium heat. Let it simmer for 3 to 4 minutes, till the pumpkin puree smells cooked. Add the stevia/erythritol blend or maple syrup, and the vanilla with a pinch of salt. Whisk it well till the sweetener dissolves. Using either a regular blender or an immersion/stick blender (this is the one I like), blend until frothy. Divide the freshly brewed coffee among 4 cups. Top each cup with about ¼ cup of the blended pumpkin creamer. 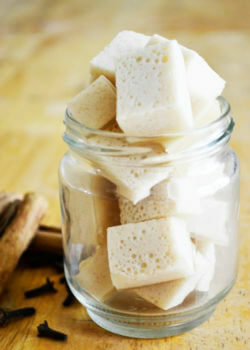 Garnish with a tablespoon of whipped cream in each mug (optional) and a light dusting of ground cinnamon. Enjoy! 2. Be careful while blending the hot pumpkin creamer! Use a thick towel to cover the top of the blender to let the steam escape. 3. The blended pumpkin coffee creamer can be kept in the refrigerator for later use. Just heat it in the microwave for few seconds and blend with coffee. 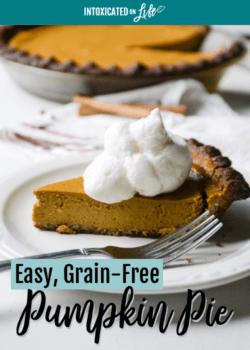 If you’re as big of a pumpkin fan as I am, you’ll be happy to find some of these other grain-free, sugar-free and naturally-sweetened pumpkin treats. Bring on the tastes and smells of fall! Sharing at The Modest Mom Blog, Create With Joy, Raising Homemakers, Saving 4 Six, Mum’s Savvy Savings, Crafty Moms Share and Pam’s Party & Practical Tips.